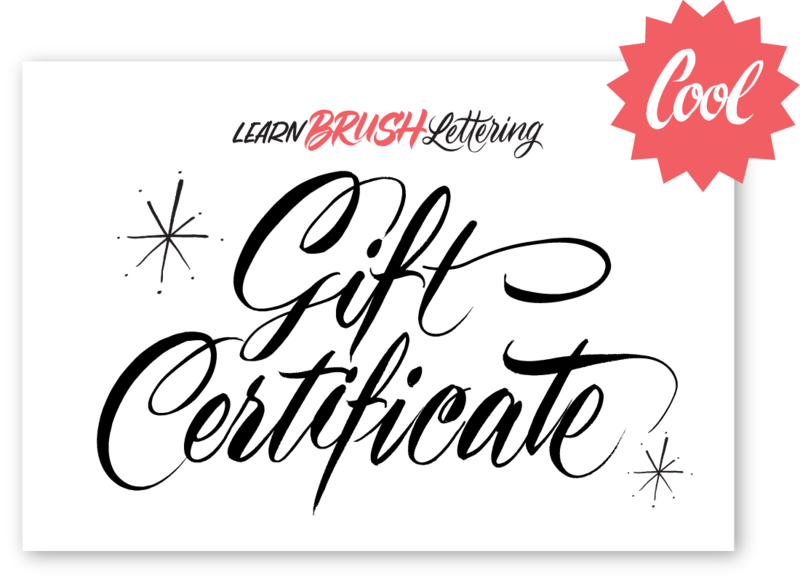 Open up the world of brush lettering to someone special with a Learn Brush Lettering gift certificate. The gift certificate will arrive in your email inbox as a beautiful, personalized PDF to print or email to that special someone. Each certificate has a personalized link they will use to redeem their course and provide their brush delivery address.